With just six and a half weeks to go until the Valencia Marathon, the training intensity has significantly picked up and the volume of the intensity will continue to increase. It is now the time that the "marathon training" starts to settle in, and you feel as if you're not totally recovered from one workout before the next workout. 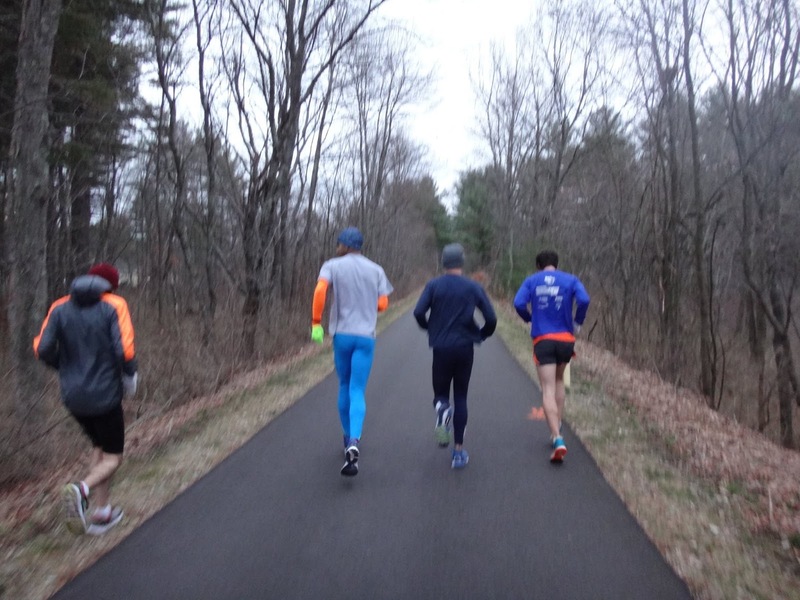 It is the pure essence of what separates marathon training from other type long distance training. You get tired, you train on tired legs, you get even more tired and then you rest a little before the big race. 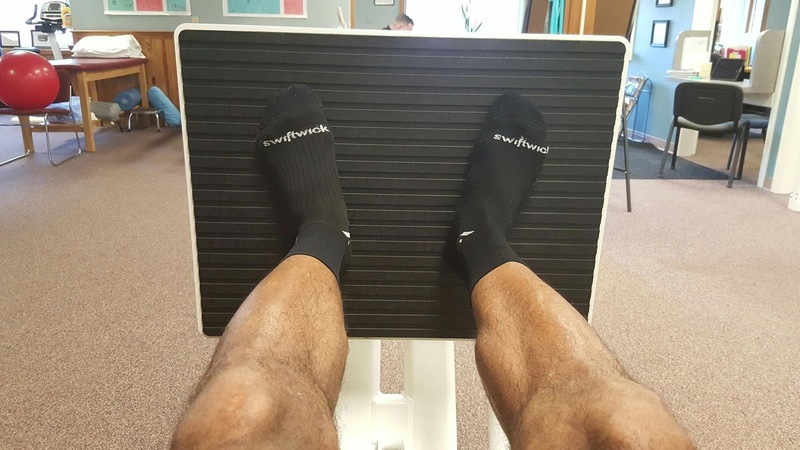 It can be daunting at times because with "tired legs" it's easy to lose confidence. I've learned to move on from one workout to another, but there's a fine line between "moving on" and "putting the right emphasis" in making sure you take each workout serious. Just because the workouts calls for 8x200 vs. a 15 mile tempo doesn't mean it's just a walk in the park and there's no preparation needed. Being prepared for me means doing all the little things (foam rolling day before, sleep well, eat well, get proper warm up and drills). My hard workout days include full warm up, full set of drills, strides and cool down. 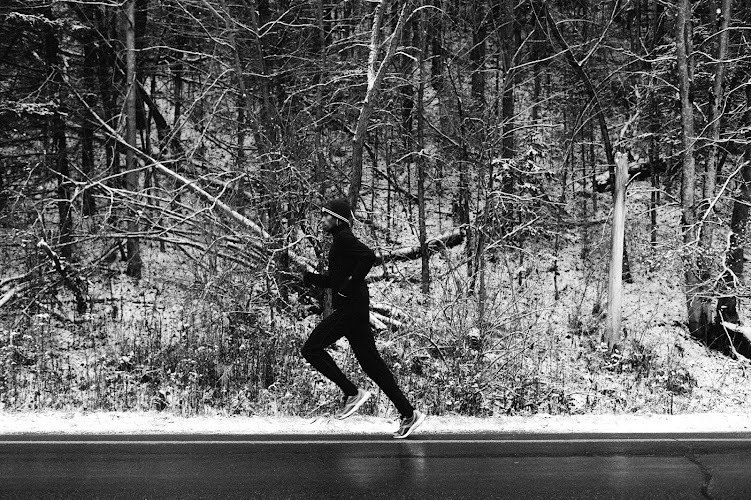 Uptempo runs are "get out the door and run hard" kind of runs. Disclaimer: I'm not a full time athlete, I also work a 9-5 office job, therefore, there are several challenging variables that I have to take into account when training. I try to do the best I can with the amount of time I have. Racing Lone Gull 10km - Finished 4th (30:49). Photo by Jim Rhoades. It's been a while since my last post. Nothing much happened after the London Marathon but I wanted to update you on how it went. I raced the 2016 London Marathon in my last attempt to qualify for the Olympic Games in Rio. I didn't make it. 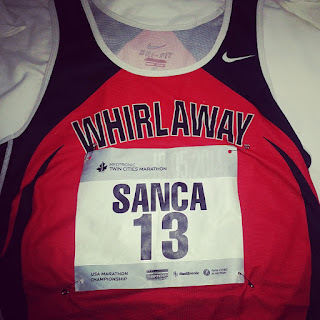 After many struggles with injuries, I finally got healthy and to the starting line at London. I arrived in London ready to race and definitely thought that the standard (2:19:00) was attainable. Unfortunately, it didn't happen in London. I went through the half feeling comfortable in 1:09:05ish. Unlike other professional athletes in the field, I didn't get my personal fluid bottles. I carried two Untapped gels in my hands. I took one at mile 16 as I had planned but accidently dropped the other soon after. At mile 20, I was still on pace for qualifying to Rio, but soon after, my body went into a shock. Glucose levels dropped and I found myself suffering from hypothermia and hypoglycemia from mile 21 to the finish. I fought as hard as I possibly could just to finish. I ended up in the medical tent as I crossed the finish in 2:21. 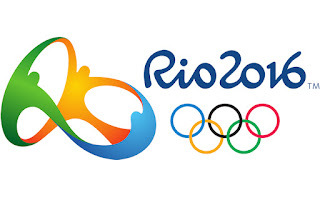 Fast forwarding from April to June, I missed Rio Olympics. It was tough to miss the team, but I have no regrets of any of the past races I did because I gave possibly all I had. Instead of being down about Rio, I focused on recovering well from London and getting a jump-start on the next training cycle. During that time, I was also super busy with selling a house, moving to a rental and buying another house. That's all done now and things worked out great! -Outdoor Track sub 13:45. PR is currently 13:56. Sub 64:00 Half Marathon. PR is currently 65:25. Sub 2:15 Marathon. PR is currently 2:18:47. I realize that these goals will not be easy to by any means, but so is my training and my dedication. I believe that if I continue to train the way I am and stay injury free, every single one of these goals are attainable. I'm 29 years old and have the right tools. Only time will tell.. The past two weeks have gone excellent! I increased my iron intake (which was low a few weeks ago) and have been able to hit some key workouts since. Looking back to my previous training workouts, the 16mile tempo was over 90 seconds faster than I did it in 2014. I've made significant improvements even within this block as I averaged 5:12 for the 3x3 miles on Feb 25, then 5:15 for the 3x4 miles on March 25 and now 5:09 pace for last week's 3x5 mile (April 9). The 3x5 mile MP interval set was the fastest I have ever averaged for any MP intervals. In 2014 I was able to manage 5:15 pace for 4x4 miles and ended up having a great race 3 weeks later. With all the reps, I've also payed close attention to my average and max HR to make sure I'm not over training and staying within my aerobic ranges. I've kept my AHR around 158 for most of the intervals and tempos. 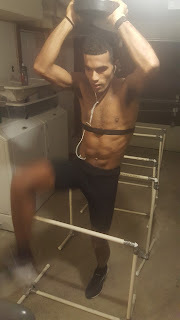 Looking ahead, in the next week, I will take a bit easier on training as there really isn't much fitness that can be gained in the final 2 weeks leading up to race day. The focus will shift to maintaining current fitness and freshening up all systems for race day. I will put a bit more emphasis on making sure I'm getting the proper recovery (sleep, nutrition, PT, massages etc) and paying close attention to all little things. Thanks for reading and your continued support. Tested out the full uniform (shorts and singlet)I will wear in London to see how it holds up with sweating and chaffing. 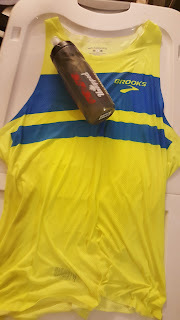 I was very pleased, thank you Brooks! 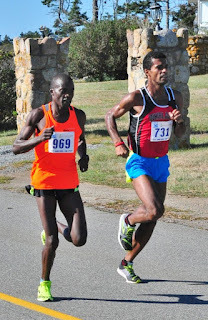 Two weeks ago I raced the New Bedford Half Marathon - a race I've won in 2011 and 2014. I was hoping to do the same again this year, but a combination of a good field, not so great weather and an "off" day for me did not play in my advantage. However, I don't believe the result is any indication of my true fitness level currently. In fact, in the past 2 weeks, training has actually gone exceptionally well. 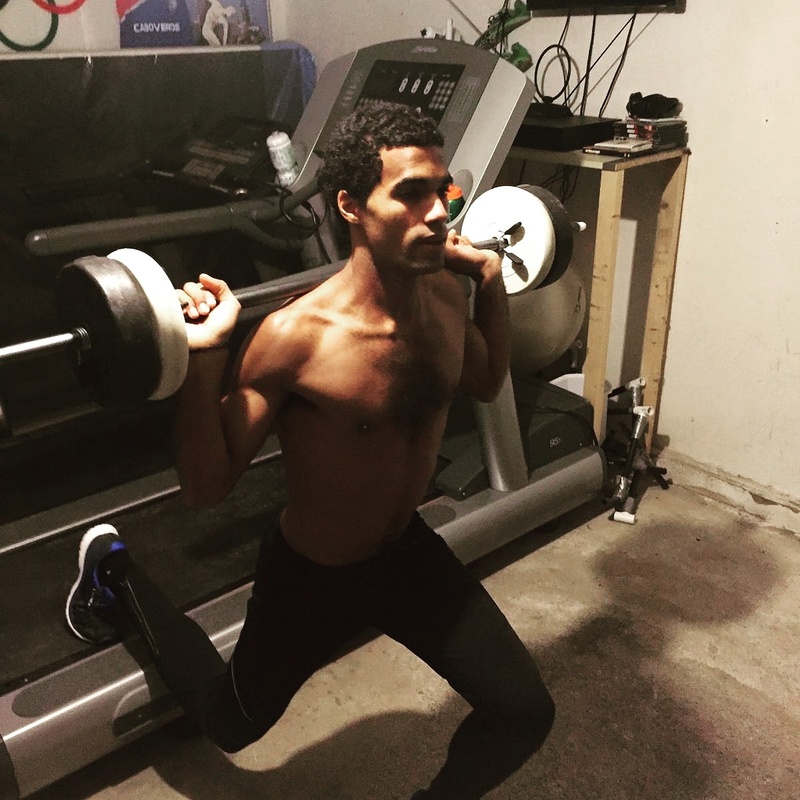 I'm happy to have come off of New Bedford healthy and motivated to keep training. The only adjustment is that I need to make is to increase my iron intake level. My March 17 blood work indicated that my iron levels were at the lowest they have been in 6 years. 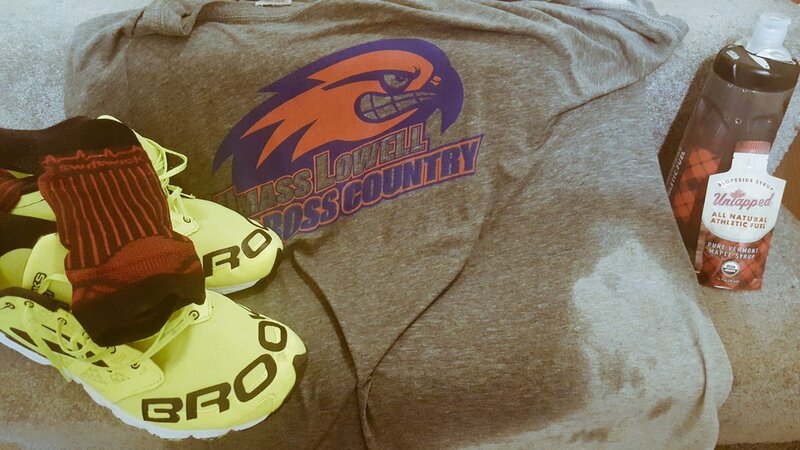 This could at some extent explain my poor showing at New Bedford. I have since increased my iron intake and am hoping that there will be a silver lining to this as I continue to strengthen my fitness in the upcoming weeks. Having raced New Bedford, recoved well and then completed a tough week of training right after gives me a lot of confidence in my training - more so than actually running faster at NB. I felt extremely well during last week's 3x4 mile workout - a staple workout in my training. My AHR was actually lower than my AHR on Feb 25th's 3x3 mile. 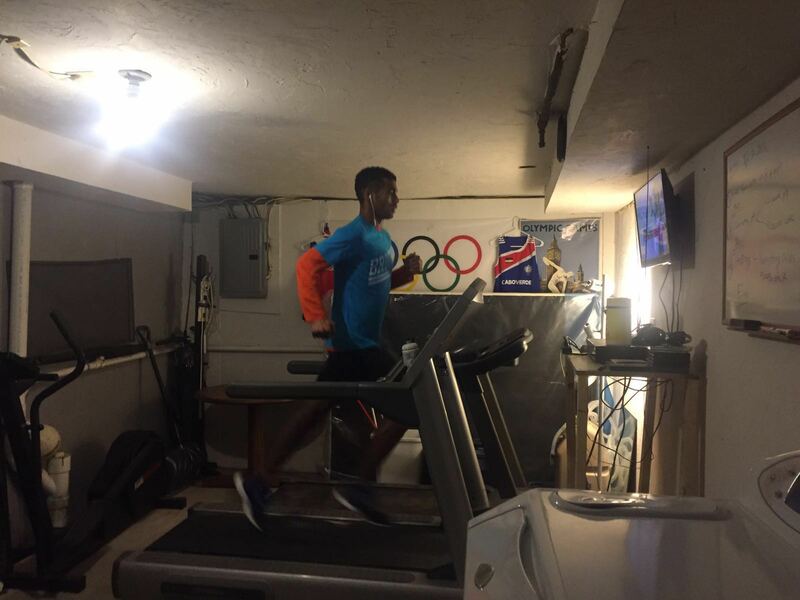 In the weeks ahead, I will continue to work on some more marathon pace workouts. I feel that I am exactly where I need to be and for now just need to keep putting in the training. Thanks for reading! I started this week a bit slow and easy to recover from last Sunday's 24-mile solid long run. I had a huge knot in my my right calf. I received dry needle therapy on Tuesday and again on Friday to help it heal. When dry needle is done on the calf, it can be really painful for the next 1-2 days, but on the 3rd day things start to loosen up and you can feel some relief. A huge thank you to Pinnacle PT staff, especially Barbara for staying an extra half hour past her shift to work on my leg. It made a big difference as my calf now feels back to normal. It really takes a village sometimes. As this point, I'm not risking anything, if anything hurts, I will take the time to fix it, have a day off or do some cross training. I have to continue to be mentally tough as there are always obstacles down the road. Thankfully, an excellent group of sports medical experts who have been helping me. TOTAL 96 miles, 65-min stationary bike. Notes: Happy with the 10-mile tempo, especially considering how the HR was and how I felt. I think I could've extended the tempo distance if I wanted to. I will be racing the New Bedford Half Marathon a week from today, which should give me a good indication of my overall fitness. 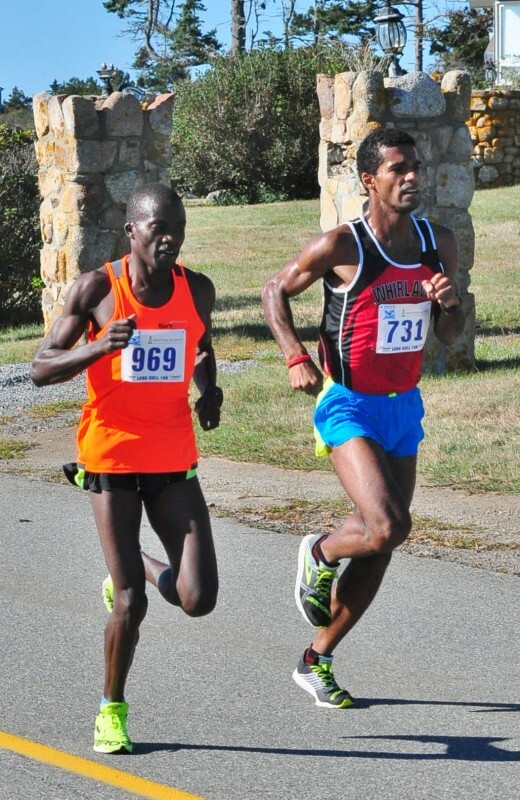 In 2014 when I won there in 65:52, I had done a similar 10-mile tempo a week before the race in the 52:20's. I would be happy to run anywhere in the 65-66 range, which would put me in a good position going into the last 4 weeks of workouts before London. Thanks for reading and for your continued support. This past week had its ups and downs. As with any marathon training program, there is a fine line between injury and fitness. The fitter you are, the more likely you are flirting with injury. For me, this has been something I've struggled with a lot in the past. 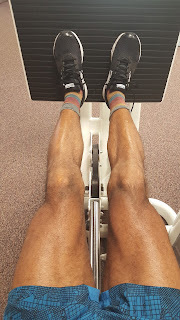 My aerobic capacity and ability to train at a higher level becomes stronger than the load my legs are able to support. 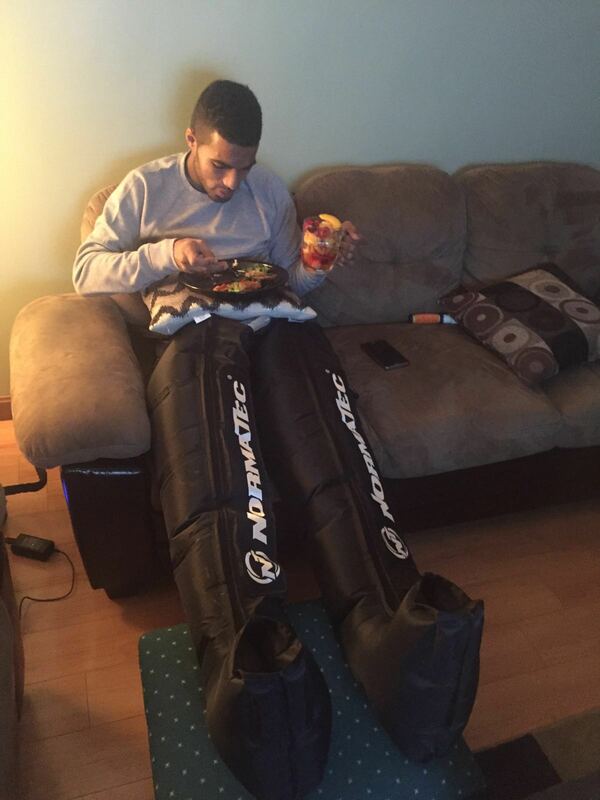 I had to skip a key workout this week to allow my body to recover. For London, my goal is to get to the starting line in shape and ready to give myself a chance to run the time I need to run. In order to do that, I can''t simply take days off here and there. It'd be easier If I was training for the mile, but strength and endurance are not things you can fake in the marathon. I'm continuing to do everything I can to be healthy, but I also have to make sure I get appropriate training to get me fit. 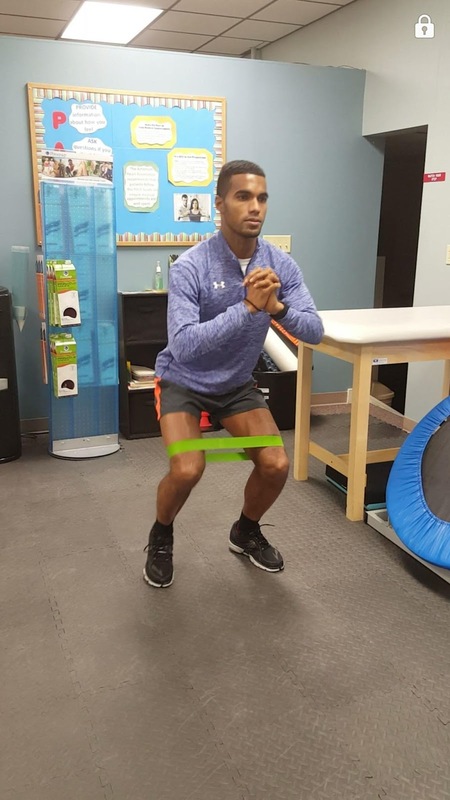 It is critically important that whenever I have 'bad stretches' or 'mini setbacks' whether it's a workout or a nagging injury, that I'm able to bounce back fresh physically and mentally. TOTAL 90 miles running ,90 minutes stationary bike. Notes: I was bummed not to get in the 10-mile tempo Thursday, but felt extremely comfortable with the long run on Sunday. I tried a new energy gel provided by one of my new sponsors UnTapped and had good results with taking a gel at mile 13 and another at mile 20. I didn't even need water as it was easy to digest. Overall I'm happy where my strength and fitness is right now, but I need to continue to do all little things to stay healthy. Thanks for your support. Picture from training this week. .
After the first 3 weeks, I feel that marathon training is finally getting into full swing. The '3x3mile' workout is usually a good barometer of my fitness. I tend to start in the 15:50's, but felt very comfortable this week in the 15:30's-40's range which is good sign. I could've probably gone faster, but for this cycle I'm trying to keep things under control - focusing on staying healthy and doing all the little things possible, from PT to strengthening, massage etc. I've started to use heart rate monitor as well to monitor intensity level in my workouts. The hill workout will continue to be a staple weekly workout as it doesn't take too much from me. I will do at least 1 race pace workout and 1 very long long run type. I feel that mileage around 110 should be enough as long as I'm hitting the key marathon workouts. I look forward to the weeks ahead. Thank you for your support. Picture from training this week. Photo by Rossy, Zac. Since my last post, a few good and unfortunate things have happened. I will start with the good: my entry has officially been accepted and confirmed for the 2016 Virgin Mobile London Marathon. It will likely be my last shot at running under the Olympic Qualifying window. 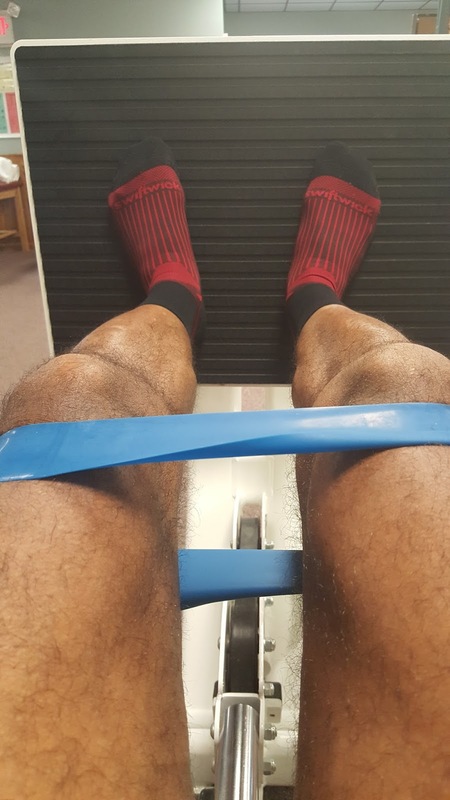 Next, following my last post (while I was in the middle of starting to increase my training volume and intensity), a past injury flared up - a nagging chronic left hamstring strain that I thankfully now have under some level of control. Staying injury free is a battle I've been fighting all of my post-collegiate career. At this stage in my marathon build up, I've got to have flawless training if I want to be at the starting line in London. With that said, I immediately started an aggressive physical therapy plan (which includes graston, ART, dry needling, specific exercises, massage therapy etc), and I feel satisfied with where things are as far as my future health, current fitness level and race timing. Following the last two weeks of 120+ miles, I had two down weeks of 69 and 45 miles (which I won't even bother to breakdown). 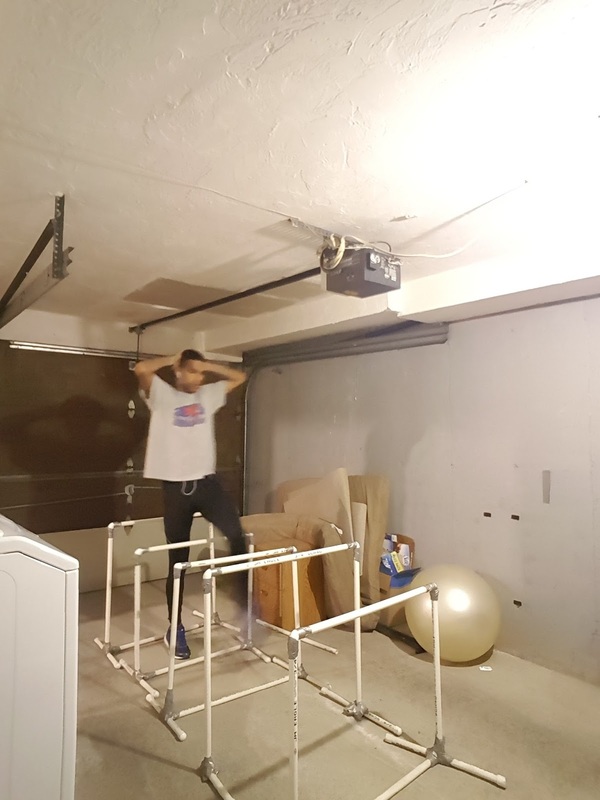 I was able to do just the minimal just to maintain some level of fitness. I'm not too concerned with this training hiccup as I've put in a decent amount of base work from November to January. Now to the present and future. I'm getting physical therapy and massage therapy on a weekly basis. 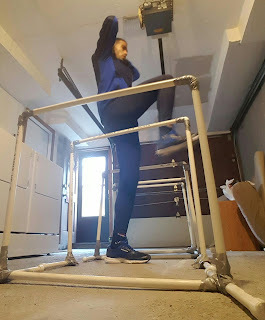 I'm doing a little bit of cross training (in addition to the running), a lot of injury prevention strengthening exercises, weights and hurdle drills. As far as the running portion is going, I'm looking to do training pretty similar to what I did in 2014 when I ran 2:19:05 in Boston. I believe If I can get to London very healthy, I'm capable of running at least that or much faster. Below are my last two weeks of training. I'm looking to continue to build up in the workouts but want to do it progressively. Comments always welcome. TOTAL 105 miles,60-min bike, 3 workouts. Happy with the 25:36 tempo. Goal was to run 25:45. In my last build up, I had run 25:48 to start the marathon block. Pictures form this week training. Photo credit to Rossy. The year 2016 is finally here, the year that so many athletes have been patiently training for. It has been no different for me. Since the 2012 Olympics, I have set my eyes on returning to the Olympics and racing the marathon there. However, the "Road to Rio" hasn't been an easy road. The marathon not only requires a tremendous amount of work, but also a lot of planning, preparation, execution and a little luck. 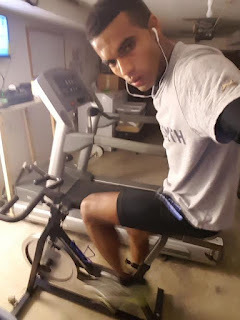 My campaign to getting back to the Olympics started in May of 2013 at thr Mass General Hospital when I went into surgery to remove a mass in my knee that had been bothering me since my first marathon in 2011. The surgery went well, but the recovery from it took many twists and turns along the way. There were some good days but some very bad days that made me question if I'd ever return to running a marathon again. I remember doing a long run with occasional training friends Eric Ashe and Brian Harvey and mentioning that I was at ease with never running a marathon again - the scar tissue in my knee still bothered me. Every run felt as if I was carrying a brick in my knee. It got to the point when I simply stopped running and only ran 5 miles here and there to maintain fitness. I almost convinced myself that my career as a marathoner was over. Then came the 2014 Lusophone Games. I was invited to represent Cape Verde at the Lusophone Games in India. 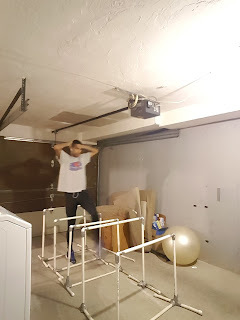 The Luso Games were scheduled for November of 2013, and I had barely done any workouts. I almost called the team manager to tell him that I didn't feel comfortable going. In addition, I was in the process of buying a home and running just wasn't a priority for me at the time. Then all of the sudden something happened that would change my outlook for the Luso Games. Due to construction of the facilities, the Luso Games were postponed to January 2014. I remember reading it in the news and then confirming with the team managers. I thought to myself that this was a sign from God and that I'd been given a second chance to get back in shape. I started plugging in the miles, doing strengthening for my legs and attempting a few low key workouts. I got on the plane to India and didn't feel nearly fit but ready enough to "fake" myself in the 5000m race with other contenders. Knowing that this could be my last competitive race, I told myself that I would give it all I had. In the end, to make a long story short, I ended up winning a Gold medal for Cape Verde in India after being dropped in the race multiple times to come back in the home stretch. As cliche as it may sound, the race transformed my running up to today. I was ready to give up running and now I'd become the first Cape Verdean to ever win a golf medal in Athletics at the Luso Games. 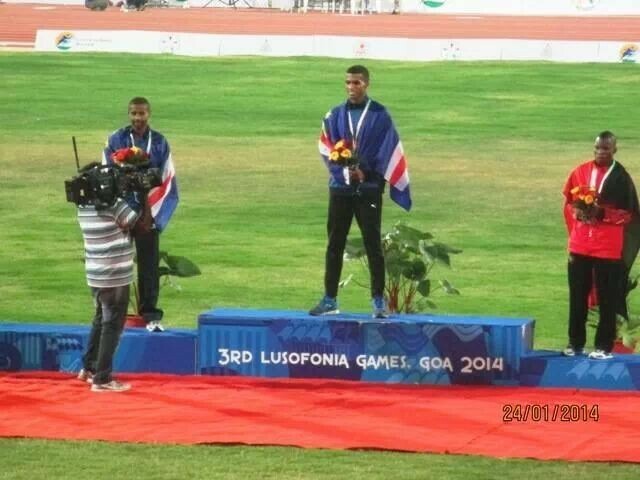 it was a historic day for Cape Verde! 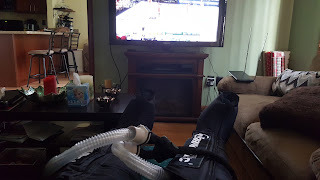 After the Luso Games, reality struck again as I was physically back to square one in Lowell with tightness around the knee area that would not allow me to have full range of motion in my right leg. During that same period, the Cape Verdean running community was extremely proud of my accomplishment in India. Some started to ask questions whether or not I would try to make it to Rio. During this time, I asked for advice from so many people on how to try to fix some of the the scar tissue that I was surrounding my knee. After each hard race, the scar tissue felt worse to the point when I couldn't even jog. 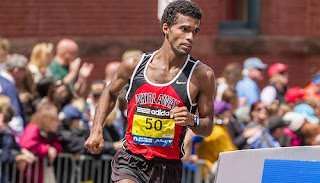 Coach Gardner recommended me to see one of the top chiropractors in the area, Dr. Donovan, who has treated and fixed injuries of so many other athletes on the UMass Lowell team.I started to work with Dr."John" Donovan and the next thing I knew, I was on the starting line of the 2014 Boston Marathon. With limited training done, I would go on to finish in 21st place wit ha time of 2:19:05. I was pretty happy as I had run a very smart race. After surprising myself in Boston, I turned my attention to qualifying for the 2016 Olympics. 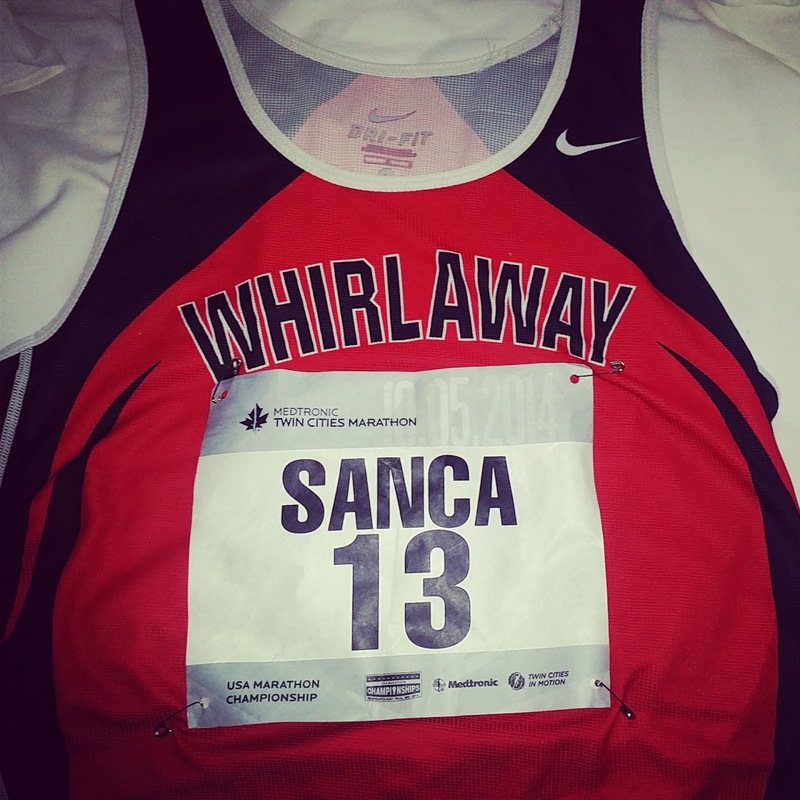 My first big test came at the 2014 Twin Cities Marathon in Minneapolis, MN. I had done a lot of HARD training, miles upon miles, workouts after workouts, late nights and early mornings. I put myself through so many mental and physical tests. The result: every workout I had done had gone significantly better than Boston 2014. I was so excited and felt ready. Unfortunately, disaster however struct again. This time on the 17th mile when all of the sudden my left hamstring ripped apart. I was on pace for 2:16, which would've been a big improvement for me. To say that I was disappointing was an understatement. Fast forwarding to Spring of 2015 - after recovering from the hamstring injury, I again made another big jump in fitness - I felt even in better shape than I was at the 2014 Twin Cities Marathon. I completed workouts such as this one here and felt like I was far in the best shape of my entire running career. Again, unfortunately things fell apart again right before the 2015 Boston Marathon. 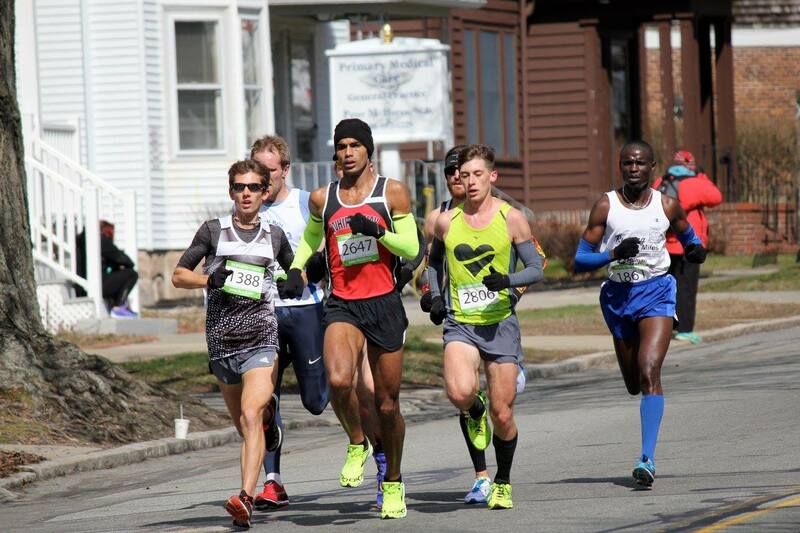 On a cold March morning ,I re-injured my left hamstring at the Foxboro 10 Mile Road Race. 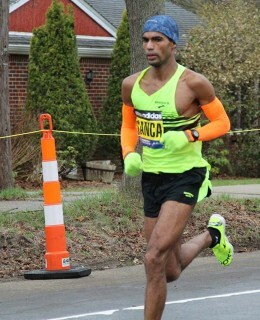 This was about 5 weeks out from the 2015 Boston Marathon. Miraculously, through the use of graston and ART, Dr. "John" Donovan, helped me get back to running. I was OK to head to the start line of 2015 Boston Marathon but had lost significant fitness that I had build over the past months. I went into Boston not feeling right. I was upset due to the loss of so much (new) fitness but also felt somehow happy to be there because I didn't think I deserved to be there with all the injury I had. I had gone to see Dr. Donovan so he could confirm my withdrawal from Boston. Instead, he fixed me up and sent me back to racing. I ran Boston and finished in 2:21 for 24th place in what was not very ideal weather (rain, head wind)..
After the 2015 Boston Marathon, it was a very long road back to running. The race was physically very challenging on my body on top of the monster training cycle I had completed to get there. I suffered additional setbacks that prolonged my recovery and return to running: excruciating shin pain, torn quad, torn calf on top of the re-occurring hamstring injury. I took time off, made many visits to see Dr. Donovan and my massage therapist, Larry " the Butcher" Medolo. I had planned to run the 2015 Cal Intl Marathon in December but ran out of time because I was constantly fighting and/or coming back from injuries. I simply didn't have enough training time under my belt. At last, I hired a nutritionist, Steve Diorio. 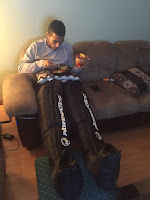 With the help of Steve, I made a few adjustments in my diet to see if it'd would reduce my injuries. On Thanksgiving Day, results started to show as I tied my own 5 mile PR, running 23:52 at the Slattery Turkey Trot in Fitchburg. During this time I was 100% healthy for the first time in almost 2 years! I started doing a lot of workouts: fartleks, tempos, hills, fast finished - anything that I could challenge myself into. I targeted the 2016 Jacksonville Half Marathon where I wanted to run well. However, luck again wasn't on my side. In the rain and cold, I developed a very stiff shin muscle pain that caused me to alter my stride at mile 1. Then at mile 2, my hamstring flared up as I felt it ripping apart. I was mentally done. I wanted to drop out at the 5k mark but kept telling myself that I had traveled too far to do so. Cardiovascular fitness felt great but my mechanics were off. I couldn't extend my stride, which was very frustrating! I finished in 1:06:27, which was about 2 minutes away from my goal (on a healthy leg). I took a few days off to let the injury heal and then started training again. 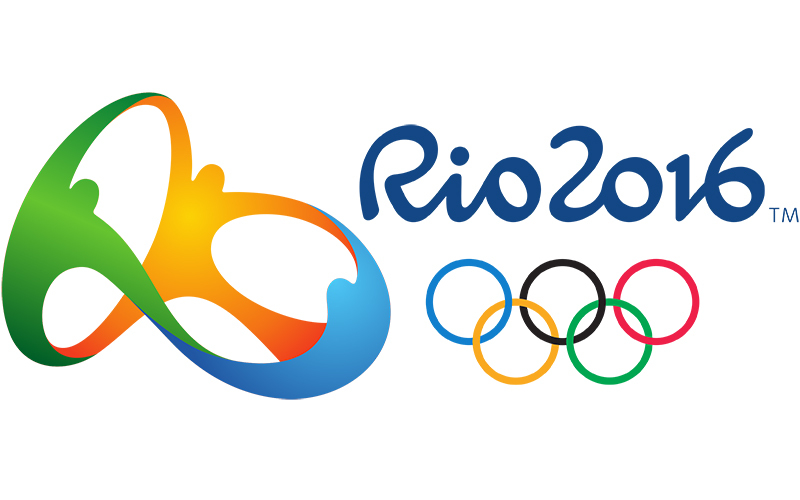 This now leads me to the following blog again - week 1 as I make my final attempt to qualifying for the Rio Olympics. 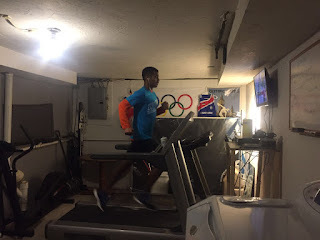 Due to popular demand from some of the readers of this blog (now at 96,097 views since 2005), I plan to bring back detailed marathon day-to-day training, the struggles and any small triumphs I might have along the way to training to qualify for the Olympics. By July 11, 2016, I must run a time of 2:19:00 in order to get the B Standard for the Olympics. This is it! You can also follow my training on strava . Summary: 125 miles, 1 hill workout, good long run. How much did weather really affect Boston Marathon in 2015? If you take away the weather factor, how many people do you really think PR'ed at the 2015 Boston Marathon?